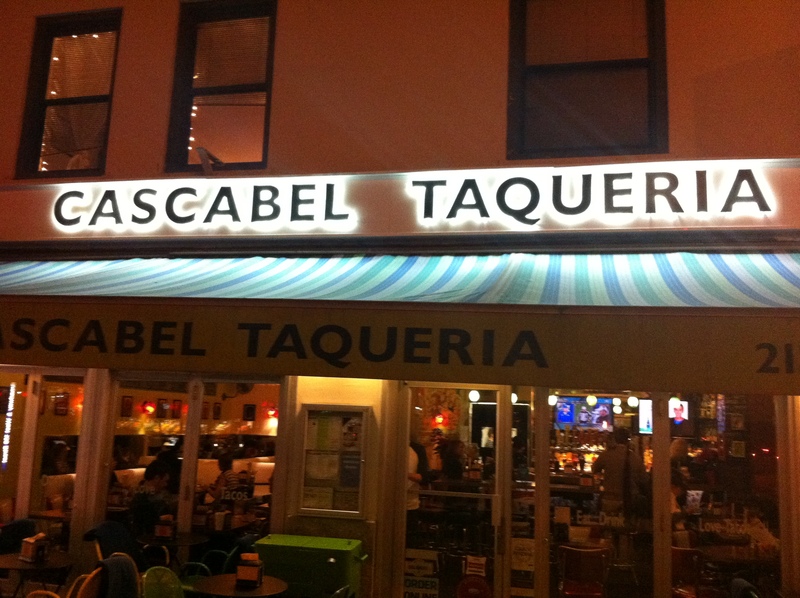 Cascabel Taqueria Is Handy. A Bit Confusing At First, But Handy. I’ve had a bit of a mixed bag at Cascabel, if I’m honest. But part of that is on me. That is to say, part of that is due to my not “getting” what it is that Cascabel does, is, or is about. I’ve since remedied that. Still, I am not sure if I can give it a clean recommend. Imagine, if you will, a Mexican version of a Dim Sum joint. Then add artisanal aspirations. That seems like a slightly better approach to the notion: Tacos as dumplings. Now that scenario doesn’t completely work – there’s not enough variety for it to bear up to close scrutiny. Nonetheless, it is perhaps the best way of thinking of Cascabel. What do you mean, "plate?" It can be a bit loud. With its images of luchadores all over the place, it smacks a touch of hipsterism. That even extends to the presentation of the food, which is not served on something as pedestrian as plates. 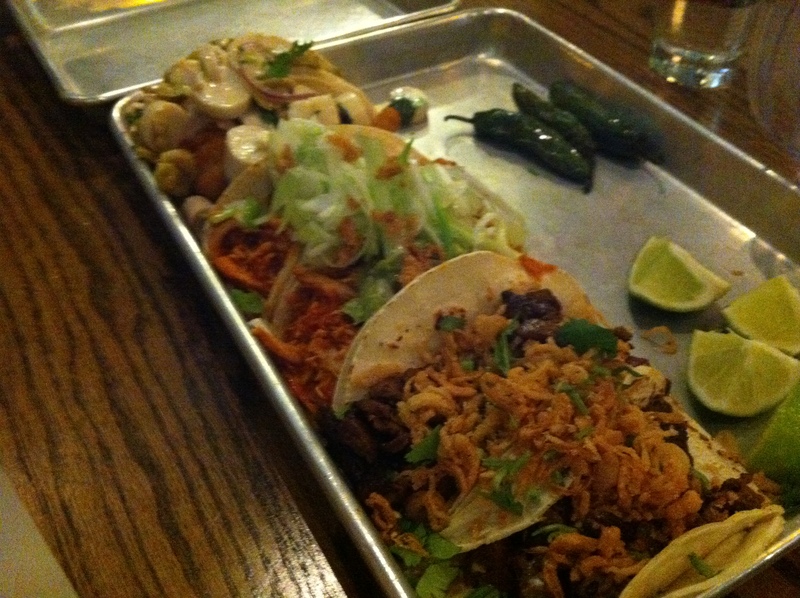 No, at Cascabel your food is served to you on metal cafeteria trays. Of course! Oh, and if you would like a plate, here is your slightly smaller metal cafeteria tray. Oy. And of course take something as simple as ordering guacamole. You do not get with chips: Bah! Instead, you get a large round of fried tortilla, which you have to smash. Naturally! Now the first time I went, I confess it left me a bit embittered. But that is because I did not understand Cascabel. You see, when I order tacos from the magnificent Noche Mexicana (review to come), you get piled high, fresh, massive tacos you’d be glad to eat. And they’re cheap. 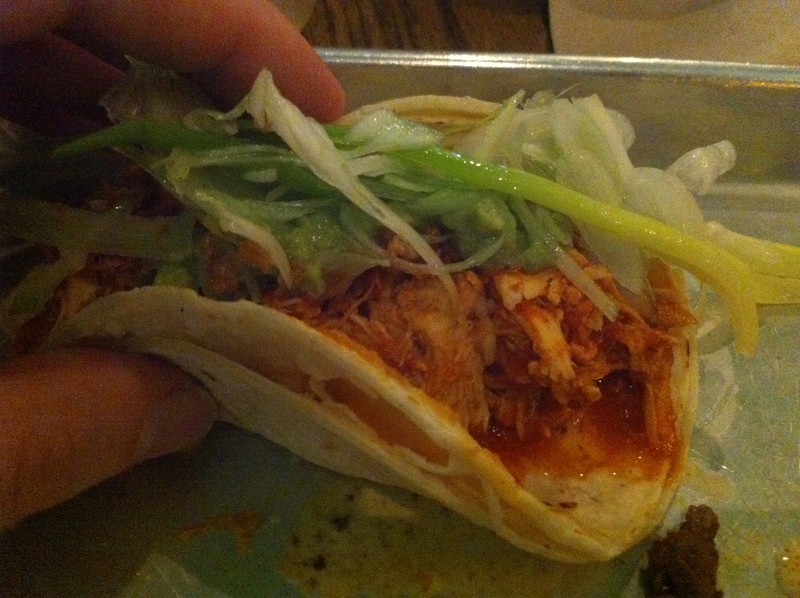 So when I ordered tacos from Cascabel, with two to an order for about $9 a throw, I was expecting similar. Instead, I got what looked like slightly sloppy hors d’ouerves. That is because the key to success at Cascabel is thinking of it like dumplings. Get multiple orders, and you will be good. I’d say two orders for an adult male should be sufficient. If there’s more of you, it’s scalable, and you might even throw in an extra order to smooth over hungry operators. For the ladies, they’ll find it desirable because it is also scalable downward. The missus finds a single order quite sufficient. Not the size of fingers vs. taco size. That's no exaggeration. So how is the food, now that we’ve addressed the quantity/how to order issue. Well, the food is pretty good, but it too is a mixed bag. I noticed a slight fishiness to the fish tacos. By the way, the Yellowfin tuna belly is served in a deep fried in a batter with hearts of palm, olive and onion. Keep in mind, these are appetizer (dumpling?) sized tacos. I enjoyed the shrimp tacos more. The shrimp themselves are neither particularly fresh nor large (they seem to be of the “fresh frozen” variety, and only slightly larger than what you might get at some salad bars, they are indeed tasty and have a greater heft. Importantly, they are not fishy. They’re served in a preparation of oregano, chili oil, garlic and black beans. The black bean flavors work well with the shrimp, believe it or not. It tastes hefty. That said, I think a lot in this restaurant may be achieved through their sauces. Now while the shrimp and fish didn’t seem particularly fresh or succulent, the rest of the ingredients involved – and the creativity with which they were put together – were. As with any place like this, with scalable portions, you should probably expect some children n the restaurant. On a recent trip we spent $55 on three orders of tacos (i.e. six tacos), a beer, and a horchada, plus tip. If you’re looking for scalable food – come when hungry, come when not so hungry – that I think is the main selling point of this place. 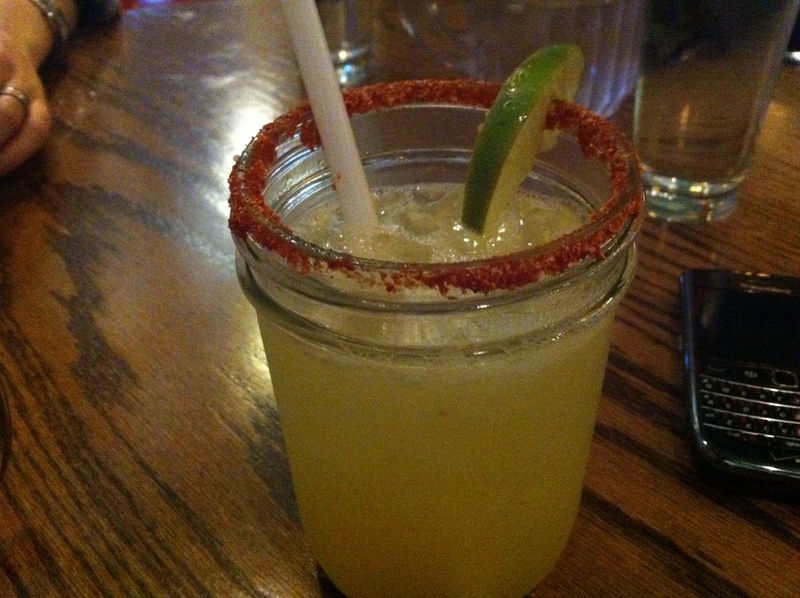 It wouldn't be a margarita if it weren't seved in a jar. That makes sense. The drinks – margaritas are served in jars – are a mixed bag (no pun intended). You can quickly rack up a tab and unless you know what to expect, you might feel a little ripped off. But if you do know what to expect, and are willing to spend a little bit on some Mexican dumplings, you may well enjoy yourself, and have a satisfying meal besides.